"I invite you to read the Book of Mormon, between now and the end of the year. As impossible as that may seem, with all you are trying to manage in life, if you will accept this invitation with full-purpose of heart the Lord will help you find a way to achieve it. And as you prayerfully study, I promise that the heavens will open for you, the Lord will bless you with increased inspiration and revelation. 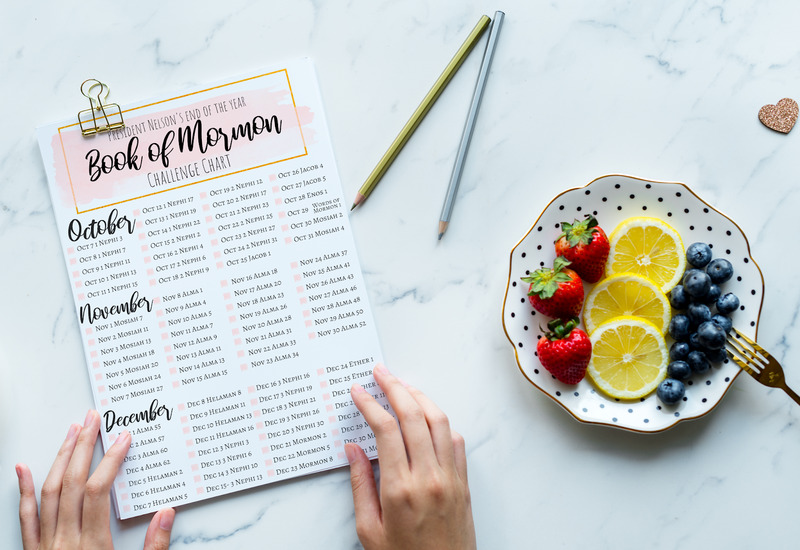 As you read, I would encourage you to mark each verse that speaks of or refers to the Savior. Then, be intentional about talking about of Christ, rejoicing in Christ, and preaching of Christ with your families and friends. You and they will be brought closer to the Savior in this process, and changes, even miracles, will begin to happen." 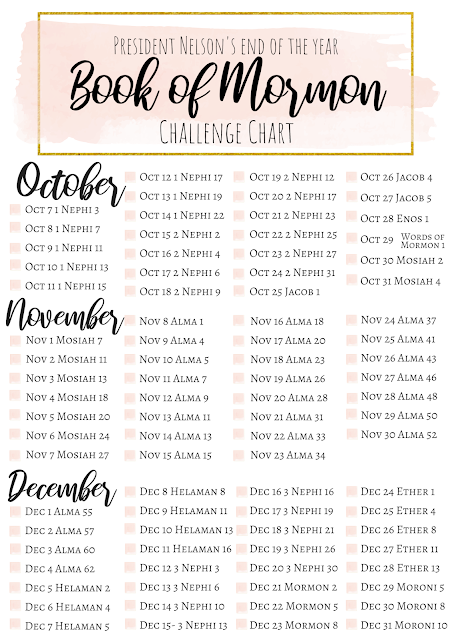 I was kinda overwhelmed because it is less than 3 months until new years, but decided to take up the challenge and made a printable chart to help keep track and stay on target. As I created it, I realized it is totally possible (about 3 chapters a day on average). Who wants to do it with me?! Here is the link to President Russell M. Nelson's 2018 Women's Conference Talk!